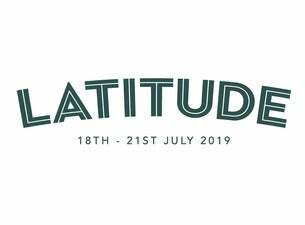 Latitude Festival 2019 is returning to Henham Park, Suffolk, from Thursday 18 until Sunday 21 July. A trio of incredible acts are topping the festival's 14th edition – George Ezra, one of the most popular male solo artists on the scene right now; five-piece band Snow Patrol (who headlined the inaugural festival in 2006) and po star Lana Del Rey. Also added to the line-up are MARINA, having just dropped her Love EP; alt-rock London trio Palace; Grace Carter; Nigerian-born Adekunle Gold; acid rock band Pigs Pigs Pigs Pigs Pigs Pigs Pigs; indie legend Ben Folds & A Piano; She Drew the Gun; Martha; Self Esteem; Indoor Pets and Celeste. The camping festival, first held in 2006, has become a staple of the UK festival scene, each year attracting tens of thousands of revellers and some of the biggest artists in the world. Latitude 2018 saw headline performances from Solange, The Killers and Alt-J, with artists such as The Vaccines, Wolf Alice and Belle and Sebastian also appearing over the weekend. Alongside Latitude 2019’s four music stages, there’ll also be an eclectic and wide range of arts. The festival will welcome back a host of performers to its ever-expanding comedy arena, with heavyweights Jason Manford, Michelle Wolf and Frank Skinner sitting at the top of the bill, joined by Marcus Brigstocke, Tiff Stevenson, Police Cops, Phoebe Walsh and Tom Parry. Latitude Festival will also welcome back a dance programme, this year confirming Dance Umbrella, Sadler’s Wells and The Place with Theatre Arena headliners Frantic Assembly celebrating their 25th anniversary, and Daughter presented by Quiptake, The Theatre Centre and Pandemic Theatre. Latitude has steadily established itself as something as an anomaly on the major festival circuit. Noted for its relaxed atmosphere and fully immersive experience, in part due to its comparably yet suitably remote location, it offers an escape unlike many others. Surrounded by nature in the idyllic Henham Park, the Latitude Festival's grounds include a lake which is perfect for a soothing morning swim to help ease a hangover and an enchanting forest. The food offering is also exceptional and features some of the best street food vendors the UK has to offer. Children are also well catered for, with a host of family-friendly activities on offer in the Enchanted Garden area, alongside dedicated family camping areas. Latitude Festival tickets are on sale now. Read more about it on the blog here.